Looking to use the Covenant Kodi addon? This guide breaks down what Covenant is and provides more details on possible Covenant addon alternatives as well. Kodi is free, open source software that makes setting up your own home media center quick and easy. It takes just a few minutes to set up and is almost endlessly customizable. One of Kodi’s biggest attractions is its versatility: it can be installed across a huge range of platforms including Windows, Mac, and Linux PCs, iPhone, Apple TV, Amazon Fire TV, Amazon Firestick, Roku, Raspberry Pi, USB flash drive, and Android. 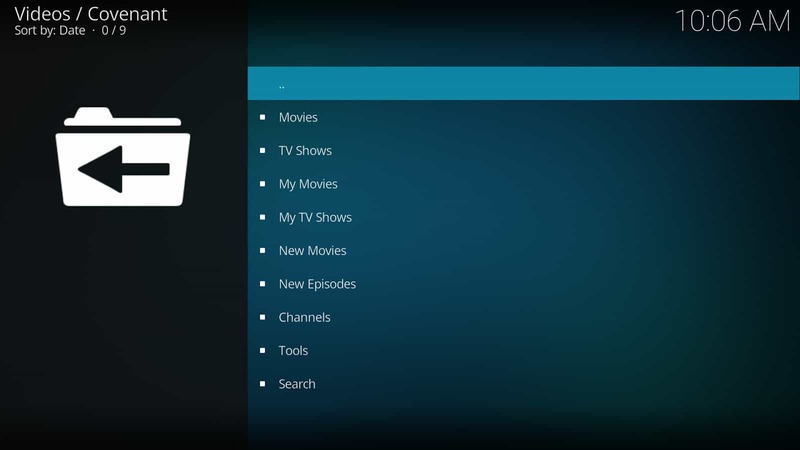 Once you’ve installed Kodi, you’ll need to create a media library; there are two ways to do this. Firstly, you can import all video or audio files that are stored on your device. This allows you to watch them without an internet connection but can quickly use up all of your device’s storage space. Instead, you also have the option of installing addons. These are Kodi plugins that create their own content libraries by gathering media that’s hosted online. These libraries often contain far more content than your device could store, but they require an internet connection to work. Covenant is one such addon. It is a fork of the popular Exodus addon, but there are some significant problems with it. 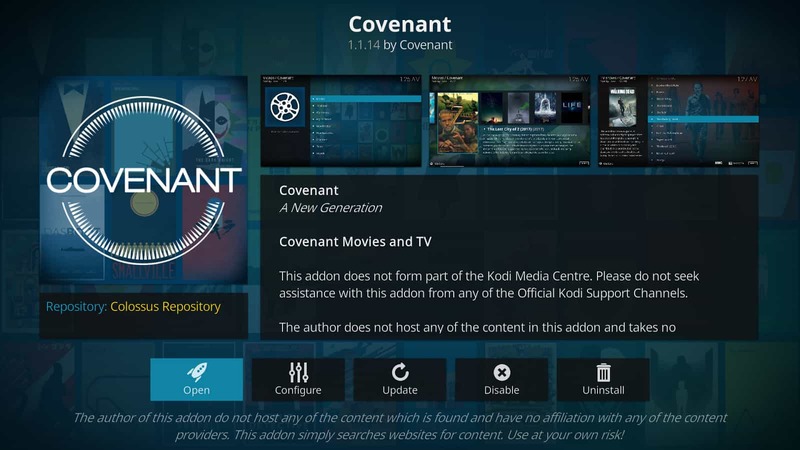 In this article we’ll be explaining what exactly Covenant is, how it works, and exploring some of the risks that all Kodi addons share, whether official or third-party. Kodi has been on the receiving end of a lot of negative press recently. Much of this stems from the fact that some third-party addons have been providing users with unrestricted access to licensed content. Kodi itself is completely legal to use, however, copyright laws differ from location to location and as a result, it is vital that you research the laws regarding streaming content online where you are before attempting to install an addon for this purpose. With countries all around the world increasing the strength and scope of their surveillance powers, it’s no surprise that more and more people are turning to virtual private networks (VPN) to keep themselves and their data private. However, some people view VPNs as some kind of mysterious tool used only by hackers or people with something to hide. The truth is that there are many reasons why a law-abiding citizen might use a VPN, especially if they’re a Kodi user. Did you know that your internet service provider (ISP) is allowed to sell or store your browsing history? If you’ve ever searched for a product online and received mail about it, this could be why. If that wasn’t bad enough, several ISPs have been caught intentionally limiting the internet speeds of their users. This is generally done to discourage you from streaming video online and can have a huge impact on your viewing experience. Your ISP isn’t the only one interested in your browsing habits, though. Hackers can use a technique called a Man-in-the-Middle (MitM) attack to intercept all of your web traffic. They can use this to find out your online banking details or login credentials, and they can even force you to download malware that gives them greater control of your computer. You can protect yourself from both of these threats using a VPN. Because a VPN routes all of your network traffic through an encrypted tunnel, the majority of MitM attacks simply won’t work. Should one succeed, the attacker will still be unable to view your activities without breaking the VPN’s encryption. Your ISP will only be able to see that you’ve connected to a VPN and not what you’re doing. Since they don’t know that you’re streaming video, they’re less likely to automatically throttle your connection. This leaves your network speeds intact and can help resolve buffering or stuttering issues that are encountered by Kodi users will slow internet connections. We recommend IPVanish. It’s a very popular VPN with Kodi users because it offers some of the fastest speeds and a very stable connection. This is because unlike most of their competitors, IPVanish builds and maintains their own server infrastructure. Geo-restricted content is no longer an issue, either. Accessing restricted media with IPVanish is as simple as connecting to a server in one of their 55 supported countries. IPVanish works with every Kodi addon we’ve tested and even comes in the default Amazon Firestick app store. Additionally, it has dedicated Android and iOS apps to allow you to remain protected even when you’re on the move. What is the Covenant Kodi addon? Covenant is a fork of the Exodus Kodi addon. Since Exodus is no longer being updated by its creators, Covenant is effectively its replacement. This addon works by gathering links to content that is hosted on various websites and delivering these to the user for easier access. The main problem with this addon is that the vast majority of its content is unlicensed. While you can turn off specific providers, there are only a handful of official sources. This was a conscious decision by the development team and means that it’s very easy to find unlicensed media but users who wish to watch legitimate content will have to research each title individually before watching. There is some public domain content available through Covenant such as 1932’s Bird of Paradise. While you can search films by their year of release, there’s no guarantee that even the oldest movies will be legal to watch. This is because there exists no exhaustive list of public domain content. It’s a shame to see an addon with such a well-organized media library cater primarily to unlicensed titles. Its strong categorization and extensive library could have been used to create a fully legal resource for finding hard to find public domain titles. Covenant offers some public domain content, however it has a far larger selection of unlicensed titles. Kodi users looking to watch films and TV shows would be better served by one of the following official addons. These use only official sources, have media libraries which rival or exceed that of Covenant’s, and are completely legal to use. FilmRise is a company which distributes independent films and TV shows. 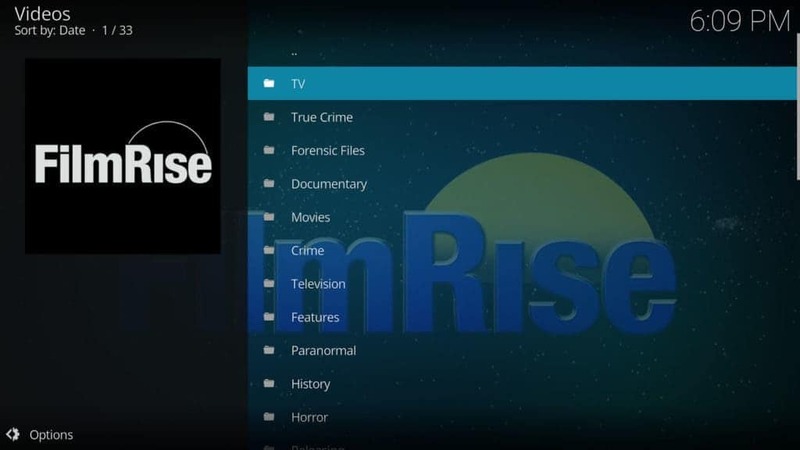 There are two FilmRise Kodi addons available, but the one named FilmRise – Youtube has a far more extensive library of titles. Its content is grouped by genre and long-running series’ have their own playlists so you don’t have to navigate through multiple pages of results. While this addon’s structure could be better (there are both “TV” and “Television” categories, for example), for the most part, it’s simple enough to find something to watch. The majority of the movies are fairly low budget, but there are some classics like Irvine Welsh’s 1998 adaptation of The Acid House, as well as a few reasonably popular TV shows like Forensic Files and America’s Dumbest Criminals. The FilmRise – Youtube Kodi addon can be found with the Indigo addon installer or in the MetalChris repository. When most people think of online video platforms, they jump to YouTube. However, if you’re interested in independent films, documentaries, or music, Vimeo may actually be a better choice. Some creators on Vimeo choose to charge money for their videos, however the majority do not. If you really like a particular user’s work, Vimeo provides a way to show your support but this is entirely optional. Even if you don’t want to pay money, there are thousands of videos available, spanning almost every genre so you’ll always be able to find something that interests you. 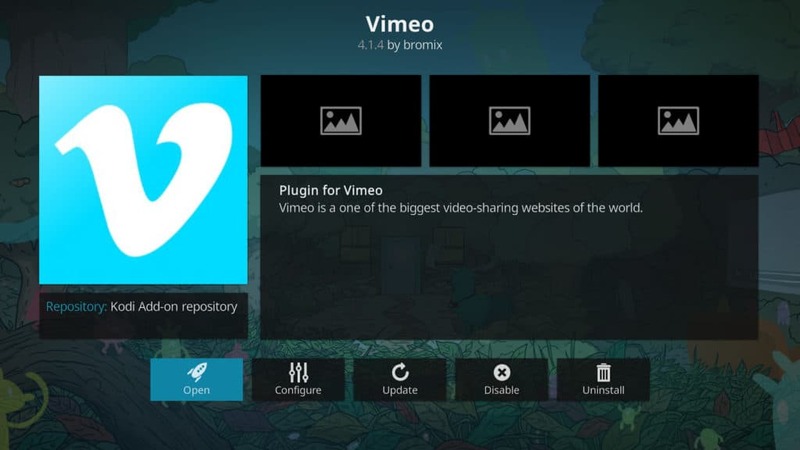 The Kodi Vimeo addon can be found in the official Kodi addon repository. If you’re more interested in TV shows than movies, FilmOn.TV might be a good fit. It’s a service that provides live TV streams from channels all over the world and as a bonus, many of them are free to watch. You’ll require a premium FilmOn subscription if you’d like to watch in HD, but if standard definition doesn’t bother you, all channels are free in SD..
FilmOn’s media library is well organized. Content is separated into folders based on its genre and country of origin. This allows you to quickly find the channels you’re interested in without having to scroll through multiple pages of results. There are channels from the US, UK, Africa, the Middle East, and Europe, so regardless of where you’re from, you’ll be able to tune in to channels from your home country. This addon isn’t perfect. There is no way to search directly for a specific channel and its selection of on-demand content is lacking. 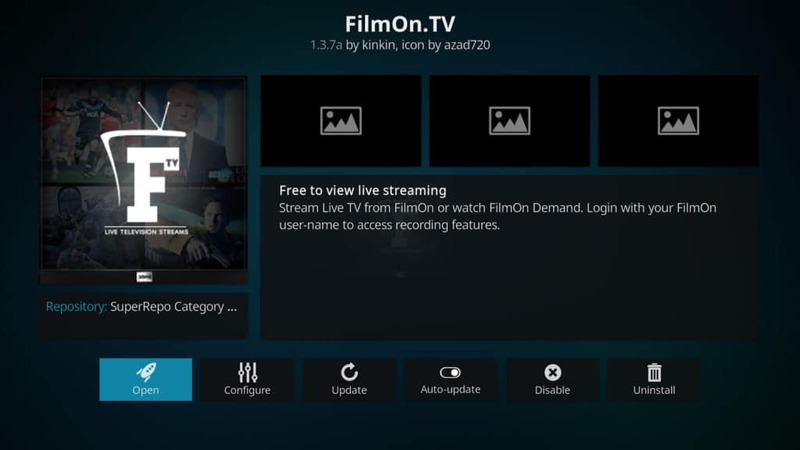 That said, FilmOn is one of the easiest, free ways to watch live TV legally using Kodi. The FilmOn.TV Kodi addon can be found in the SuperRepo Category Video repository. Covenant has a large media library but as most of its providers host primarily unlicensed content, it offers little to Kodi users looking to stream legally. All Kodi addons, whether official or third-party, are vulnerable to hijacking. Official addons tend to be more secure due to their rigorous vetting and testing procedures, but third-party addons like Covenant are usually not checked as thoroughly during development. As a result, Covenant may contain more unpatched vulnerabilities that an attacker could exploit than a legitimate source of content. Covenant may be popular, but there are plenty of safer, legal ways to watch movies and TV on Kodi. We’ve covered some of these above, but there are several other options available. Considering that there are so many alternatives that provide a similar level of experience without providing unlicensed content, we do not recommend that Kodi users install or stream content with Covenant.